Scandia Valley Vineyards is open for wine sales 7 days a week, with tastings on select weekends. 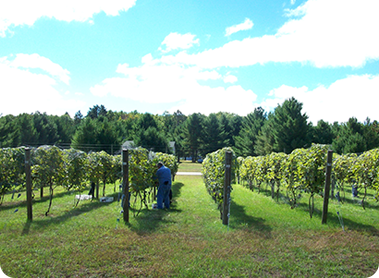 Minnesota winery located in Cushing, Minnesota, in the heart of the Lincoln Lakes Area, Scandia Valley Vineyards is open for tastings several weekends per year, and open to sales 7 days a week. 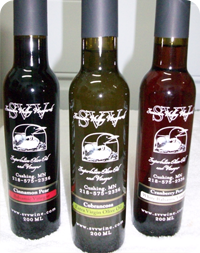 Scandia Valley Vineyards also offers superlative olive oils and vinegars which can be sampled at any of the tasting weekends and are available for sale 7 days a week. 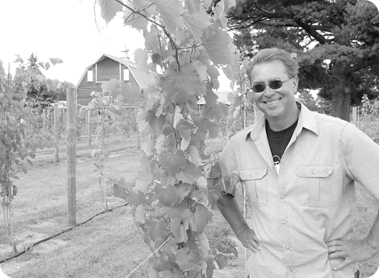 Winemaker, Jon McClain, has 18 plus years experience in the science of enology (winemaking) and specializes in producing hand-crafted, small batch boutique wines using locally grown fruit, especially that from Morrison County. Jon has a Bachelor’s degree from the University of Nebraska and has worked in the food and beverage industry for more than 30 years. Importantly, Jon is “ServSafe” food safety trained and certified. In addition to his duties at SVV, Jon is a financial professional specializing in retirement planning and cost effective insurances. Jon is always available during sampling weekends and would be happy to visit with you about the winery and menu of wines. Please accept his personal invitation to stop by and sample some of the best of Minnesota grown and produced products.